Felix Rosenqvist wasted no time in opening his DTM (Deutsche Tourenwagen Masters) points account, finishing in the top ten on his race debut in the ultra-competitive touring car championship at Moscow Raceway this weekend. Drafted in to replace F1-bound Frenchman Esteban Ocon in the Mercedes-AMG DTM line-up ahead of the Russian meeting, Rosenqvist swiftly adapted to his new environment, taking a strong ninth in qualifying for Saturday’s opening race to out-pace a host of established race winners and series champions. 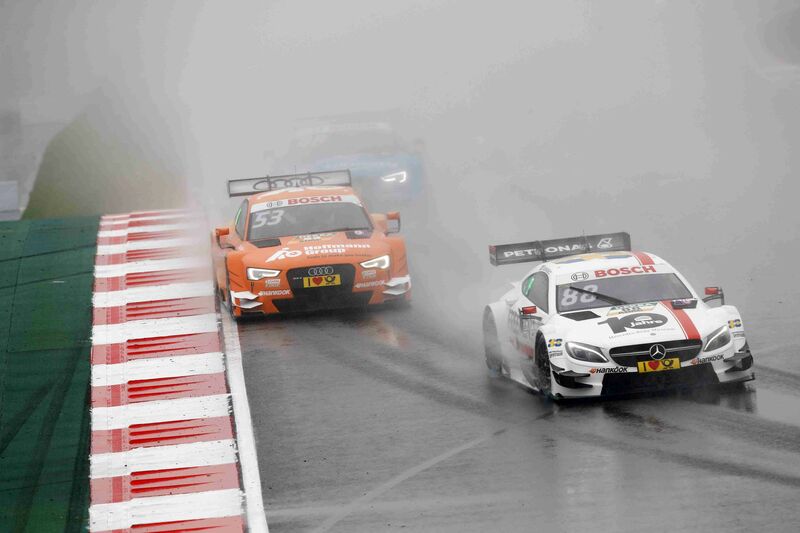 The Swede then survived treacherous conditions to finish tenth in a rain-hit first race of the weekend, claiming the final point on offer on his very first DTM attempt. Rosenqvist’s performance included a bold move on ex-F1 racer Timo Glock (BMW), while Mercedes-AMG locked out the podium in a race won by Canada’s Robert Wickens. Rosenqvist carried his form into qualifying for the second and final race of the weekend on Sunday, taking 13th on the grid – this time in fully dry conditions. The Saturday success saw the eight Mercedes-AMG C 63 DTM cars hit with added performance weights for Sunday’s encounter, however, making life more difficult in race trim. Rosenqvist eventually came home in 21st place, while Marco Wittmann (BMW) claimed the victory. It is not yet confirmed whether Felix Rosenqvist will take part in the remaining three rounds of the 2016 DTM season. His next race is scheduled in for next weekend, when the penultimate Blancpain GT Series Sprint Cup event takes place at Hungaroring in Hungary.